Revillagigedo’s Archipelago is formed by 4 islands: San Benedicto, Socorro, Roca Partida, and Clarion island. 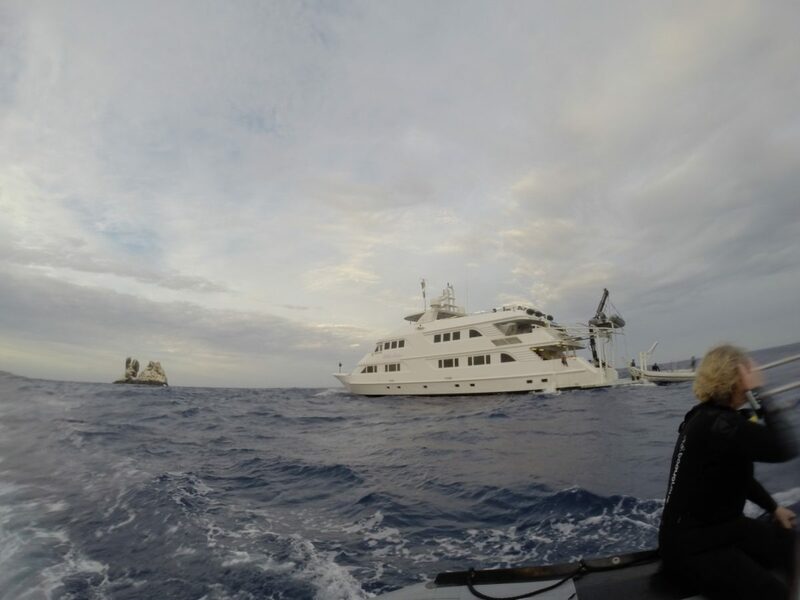 We only dive three of them due to distance of Clarion, which is 200 miles further west. For those who love the ocean these islands never stop to amaze me. On this trip we started at San Benedicto, although weather conditions were not too favorable, we dove The Canyon. We saw a couple of silky sharks. Visibility was low but our Captain made the right decision and we moved to another dive site (The Boiler) and the magic started. 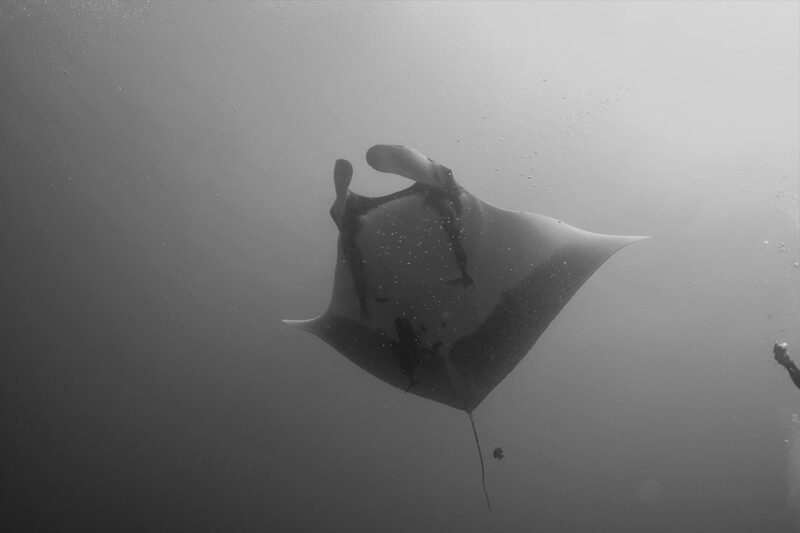 We were surrounded by three mantas, 2 black mantas and one chevron. The next day at Roca Partida (we spent two days there), where a phenomenal school of Galapagos sharks were in very shallow water 30 ft to 50 ft. There was a school of hammerhead sharks in 80 ft of depth, and bait balls of skip jacks. To finish our day at Roca we had a great visitor: a whale shark! It was not a big one, but still impressive. Socorro did not let us down! Later at Cabo Pearce, dolphins and mantas showed up and approached so close that you could almost touch them. 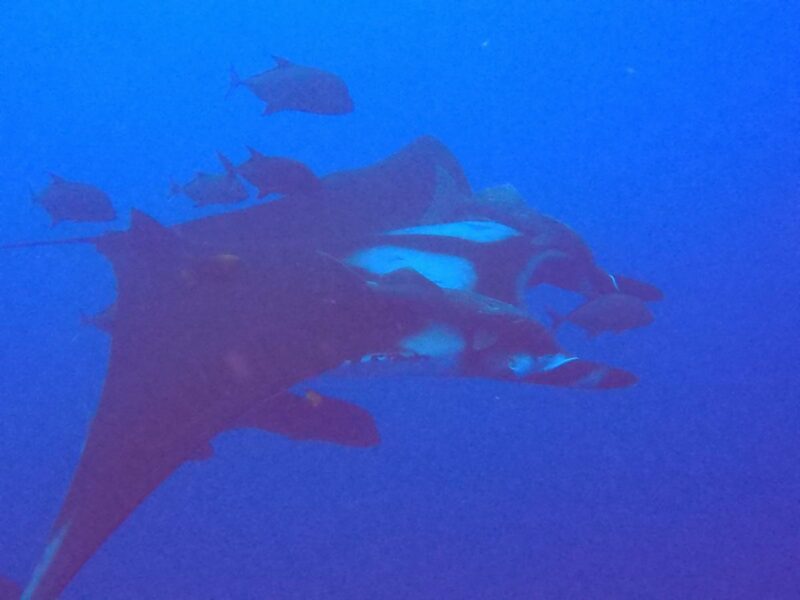 At night we had an evening snorkel with silky sharks. The adrenaline is at the max. 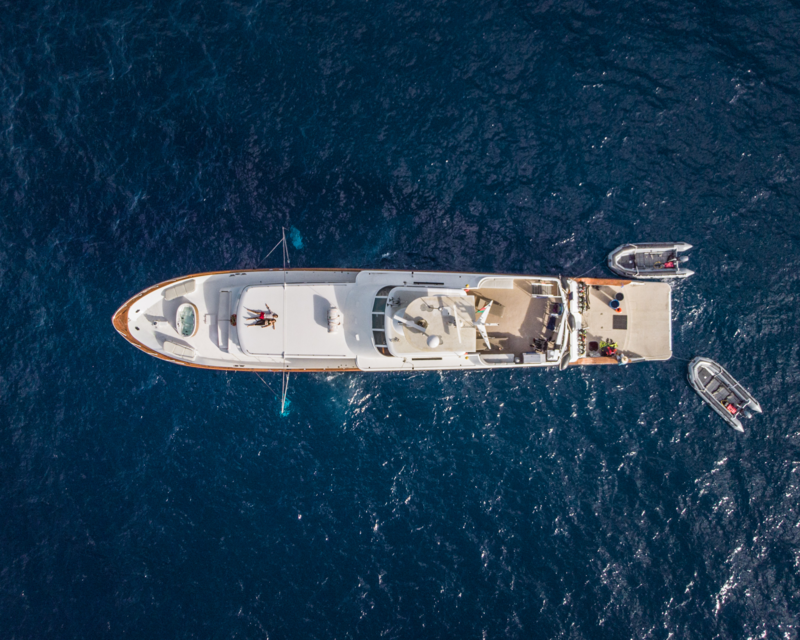 We enjoy excellent food and comfortable cabins for resting after our long days of diving – what else you can ask for? 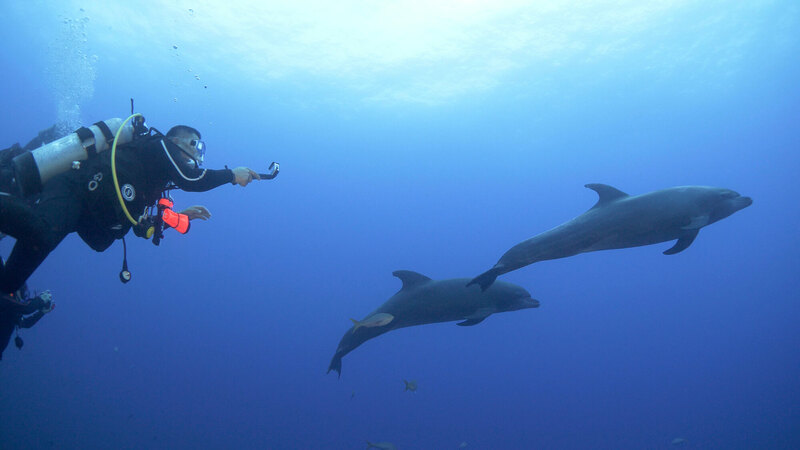 Weather conditions at the surface are affected by the cold front of the season and change of temperature from warmer water to “cold water” .temp .75F Some thermocline at 80ft of 73F, full 5mm suit is recommended unless you get cold easy from repetitive and prolonged dives, then a 7 mm is recommended. Hope you join us to one of our underwater safari adventures soon!